I came across a copy of Edward John Carnell’s book The Case for Orthodox Theology (1959). 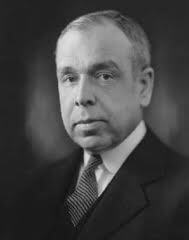 Chapter 8, “Perils,” is worth a lengthy discussion, as it contains a criticism of J. Gresham Machen for his defiance of the church courts in the course of his battles with modernism in the Presbyterian church. Following is an excerpt from the chapter, and a few thoughts from others on the problems of Carnell’s position. This is important because it deals with the overarching question of how the Christian is to handle official ties to those who claim the name of Christ but deny the essence of the gospel. In a broader sense, this is relevant to the right of withdrawal from any institution that has authority. Machen hired the Dutch Reformed scholar Cornelius Van Til to teach at Westminster Seminary, and defended him against the complaints of the more fundamentalist American Presbyterians. Van Til contributed significantly to the improvement of the Orthodox Presbyterian Church and American Calvinism in general. Among other things, Van Til helped move at least some American Protestants away from their functional deism in civic matters. The Christian faith has implications for the world in which the Church works, and Van Til would not sacrifice a Reformed Christian apologetic to gain mainstream acceptability. For those in the fledgling OPC who wanted to maintain ties with traditional American fundamentalism–characterized by a comfortable public deism, Arminian revisions to the WCF, total abstinence on alcohol–this was a difficult position to accept. Read more: “Cornelius Van Til and the Identity of the OPC” by Charles Dennison in the OPC’s New Horizons, June 1996. I was introduced to the Orthodox Presbyterian Church through the writings of J. Gresham Machen. As a graduate student studying economics at Auburn University, I further developed my interest in affinities between conservative theology and good economic analysis. It was during this time that I came across Daniel F. Walker’s article “J. Gresham Machen: A Forgotten Libertarian” published in December 1993 The Freeman, a magazine published by the Foundation for Economic Education. Walker’s piece was a delight as it introduced me to Machen’s social thought and served as a catalyst for me to present a seminar lecture on Machen to the political economy club we had at the Mises Institute when I was a graduate student. Walker begins his essay by quoting a passage from early in Machen’s book Christian Faith in the Modern World. Everywhere there rises before our eyes the spectre of a society where security, if it is attained at all, will be attained at the expense of freedom, where the security that is attained will be the security of fed beasts in a stable, and where all the high aspirations of humanity will have been crushed by an all-powerful state. The Christian Faith in the Modern World, by the way, is an excellent accessible introduction to Reformed theology concerning the nature of the Scriptures and the characteristics of God.